Dr. Raman Singh is leading by 145 votes in Rajnandgaon! In 2013, he had won this seat with a margin of 35000+ votes!! 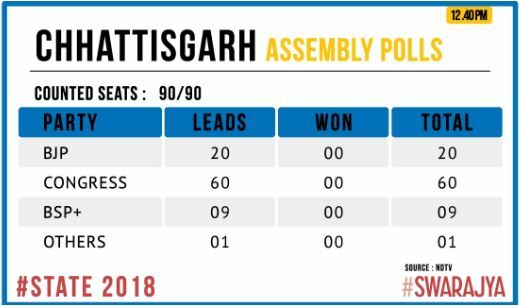 Something has gone massively wrong in Chhattisgarh. No simple explanations.